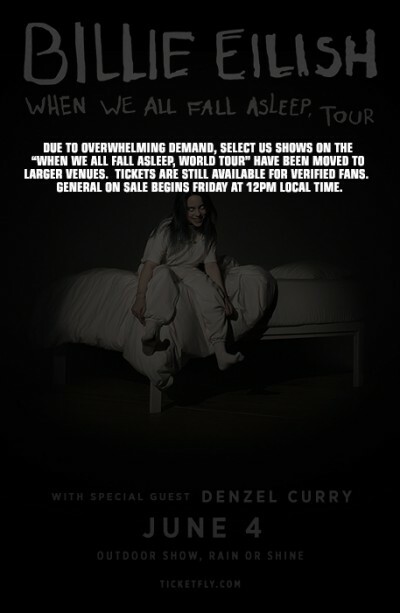 Due to overwhelming demand, select US shows on the “WHEN WE ALL FALL ASLEEP, WORLD TOUR” have been moved to larger venues. The Salt Lake City show at The Complex has been moved to The Great Saltair Amphitheater. Tickets are still available for Verified Fans. General on sale begins Friday at 12pm local time. The Complex is Salt Lake City's live music and entertainment headquarters.